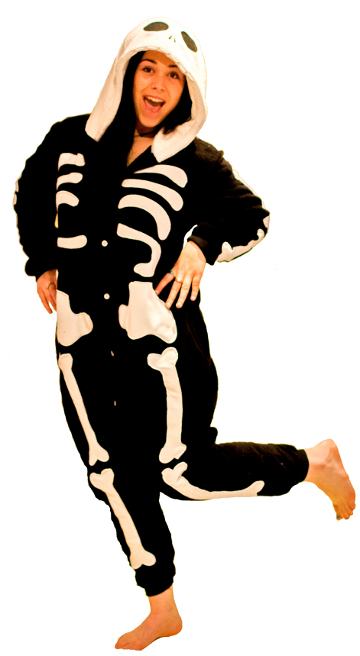 Rest those party bones in this Deluxe Quality cosy Skeleton Onesie Costume. *Includes one incredibly comfortable soft and fleecy black and white Onesie suit with pockets, attached hood and bone design. Get your skeleton out of your closet and forget about the anatomy, you've got all your bones right here! This roomy onesie in the design of a skeleton is perfect for a cold Halloween or a winter costume party, but would also love being worn to bed!